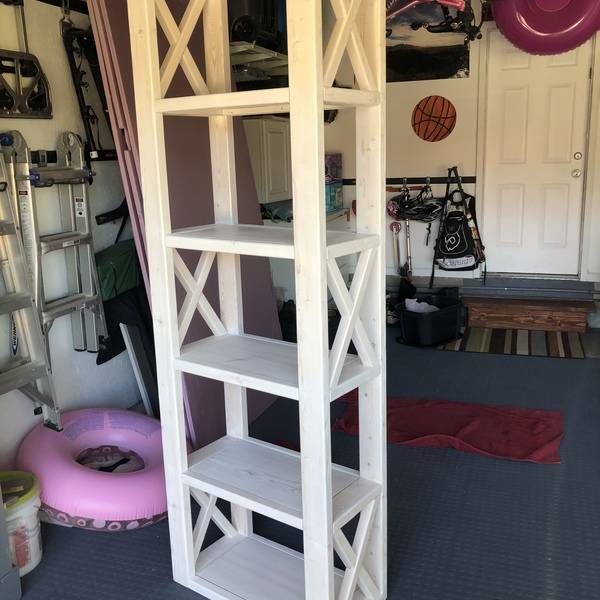 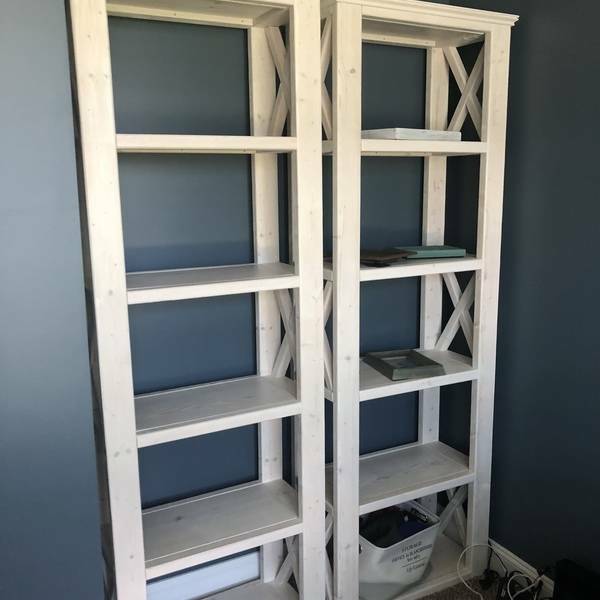 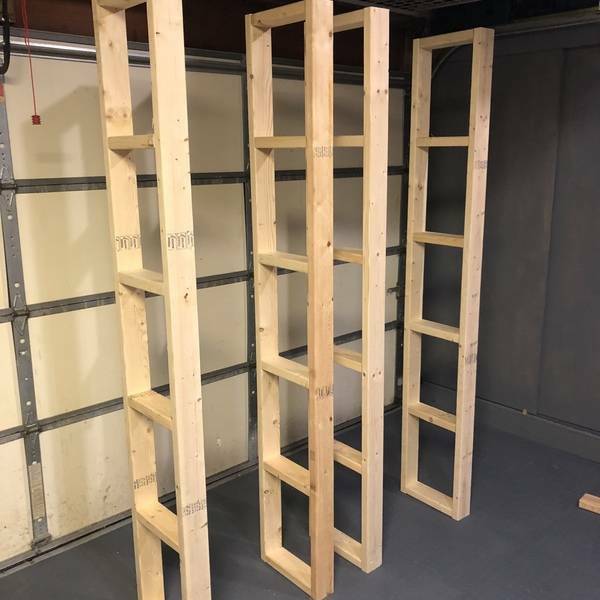 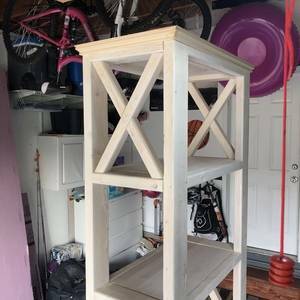 I put together a pair of these large, 7 foot tall shelving units for a friend. 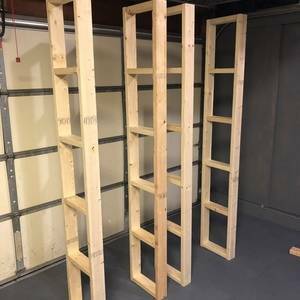 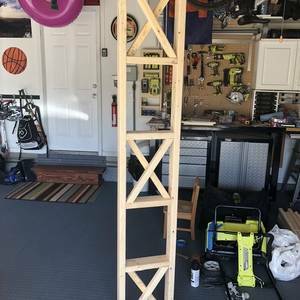 They consist of standard 2x4s, 2x2s, and 1x12s and some small trim molding. Add a bunch of pocket hole screws and two coats of antique white stain later and viola!